The first steps on rock every spring are tough for me. A winter of wearing gloves and ski boots with little rock climbing means I have baby skin and weak arms. Last year I never really got in to the swing of things on the rock, a general tiredness after a Himalaya expedition coupled with a huge amount of work and DIY last summer meant that whilst I floundered my way up a couple of 7cs, I never really hit my stride, and I didn’t care – climbing any grade is FUN! However this year is a little different. I’m thirty three. My all time favourite climbing film is The Real Thing with Jerry Moffat and Ben Moon and I watched a highlights video online the other day to help with motivation. I used to watch this when I was a teenager, my mum and I together in the lounge with the video player on after school. It was brilliant. In The Real Thing Jerry has his 33rd birthday and also knocks out a personal best on the campus board. 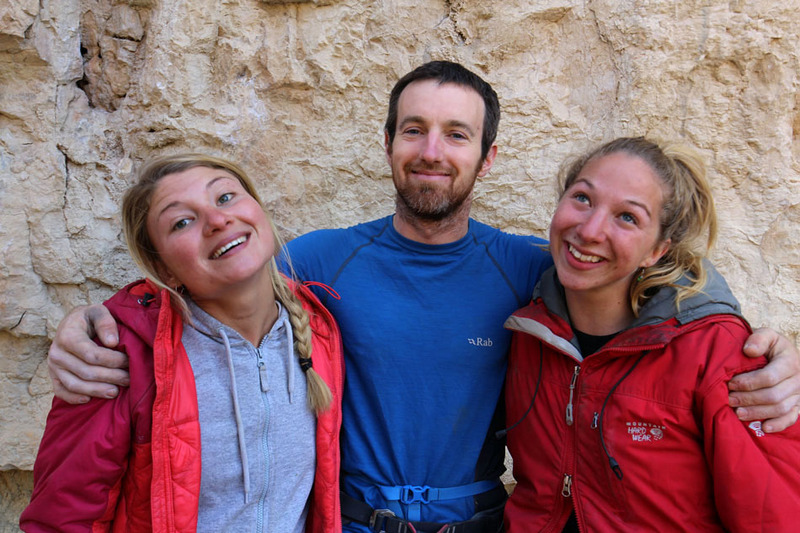 This is about 1 year after he made the first ascents of his 8cs Progress and Evolution on the British limestone. So no excuses for me this year, I’m back on the rock, and loving it. After a couple of long 6th grade multipitch rock routes in France to get going (the gorgeous Presles and the local Arve Valley) I kick started my climbing with a trip to Chulilla, Spain to be a journalist on a Boreal climbing team event. 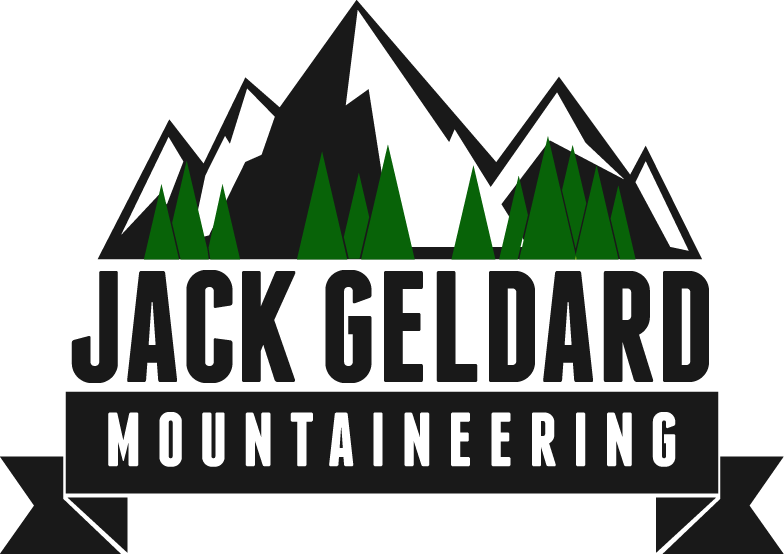 Jack Geldard hanging out on a belay at Presles, France. Perfect warm limestone to kick start the rock climbing season. Photo by Adam George. Following another perfect pitch at Presles. Overhanging rock, large rucksack, small arms. Tough work! Photo by Adam George. Luckily for me my good friend James McHaffie is now on the Boreal team, so I got to spend a few days with James, as well as meeting Nathan Lee for the first time, and spending some time with fellow northerner Jordan Buys. Talk about motivation! 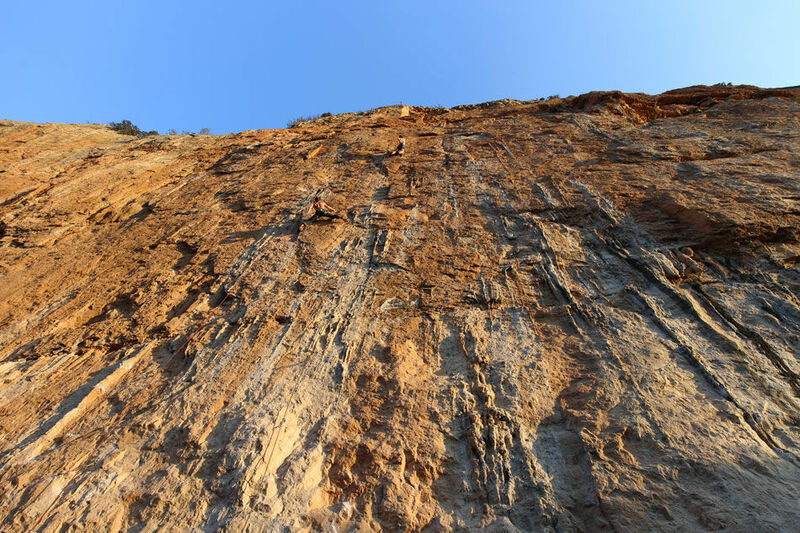 James McHaffie (centre) onsighting a 7c+ in Chulilla, Spain. What a cliff! My two favourite climbers Maddy Cope and Hazel Findlay were also in the area, and it was brilliant to see them too, and as everyone was climbing really well, I had to pull my finger out and get on the rock. I went from climbing about 7a at the start of the week to onsighting 3 7b+s at the end. Hazel (8c) Findlay, James (9a) McHaffie, Maddy (8a+?) Cope. A motley trio, but certainly helpful in the psyche department! The key for me at this stage of the season is to gradually increase my climbing volume, without trying to run before I can walk, otherwise injury will occur. 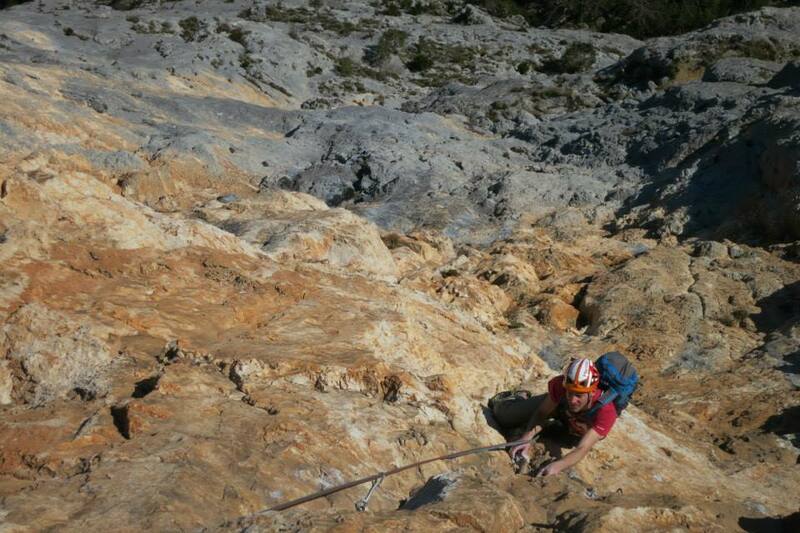 Me on the Arve Valley test-piece ‘Docteur, j’ai peur’ at Pierre a Laya. 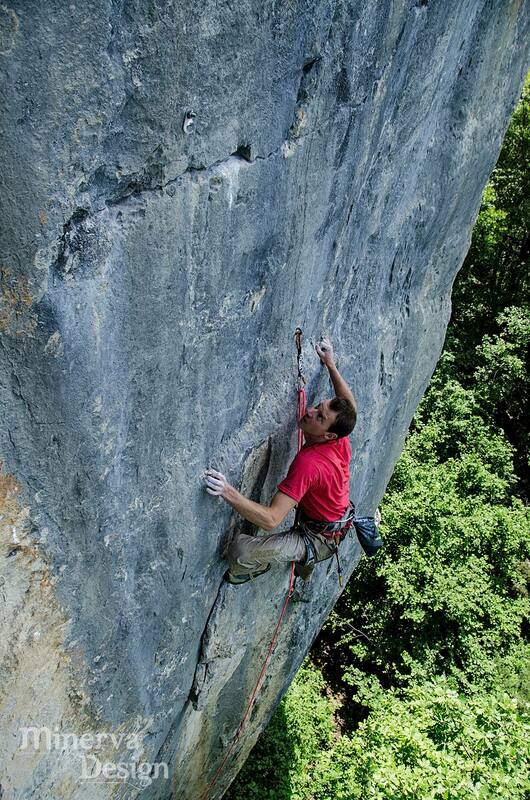 This 7c route was first climbed by Patrick Edlinger and Didier Raboutou and is desperate. In this photo I am trying it last year (not successful) but a quick trip back there this spring saw it dispatched with relative ease. 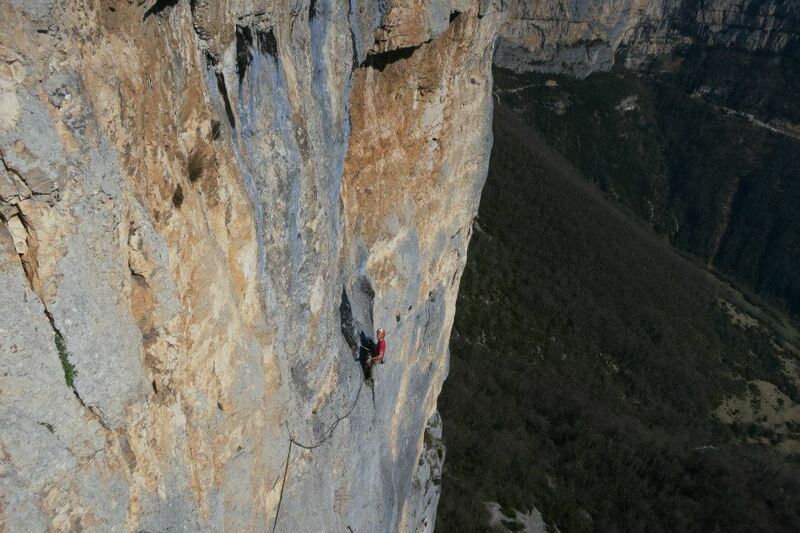 (Believe me, this would be 8a+ in Spain!). Photo by Chris Prescott / Minerva Design. Since the Spain trip I have made a big effort to climb/train 5 days per week, sometimes having double days adding a finger board or bouldering wall workout on to a day of cragging. None of these days have been super hard, but I have slowly increased the grade and now after a couple of tough 7c and 7c+ routes I am back in the 8s, which is very motivating indeed. It’s great to have this little training wall just two minutes walk from my house. Whilst it isn’t huge, I find that breaking down barriers to training is the most important thing for me, and as this wall is so close it means lunchtime sessions are really easy to arrange. I’ve set some goals for the year, and have a rough climbing and training plan to match these goals. 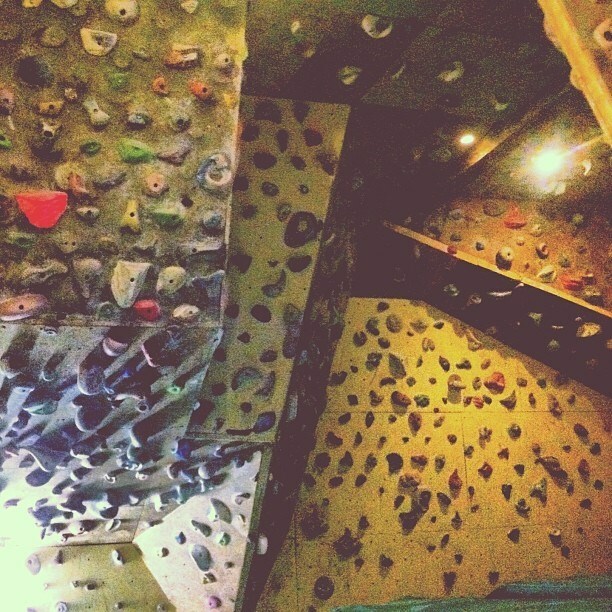 Next on the list is my biggest weakness – bouldering. And as well as organising a trip to Magic Wood in the summer, luckily for me I have just discovered a huge untouched bouldering area just 20 minutes drive from my house (plus an hour walk…). Psyched! Bouldering! 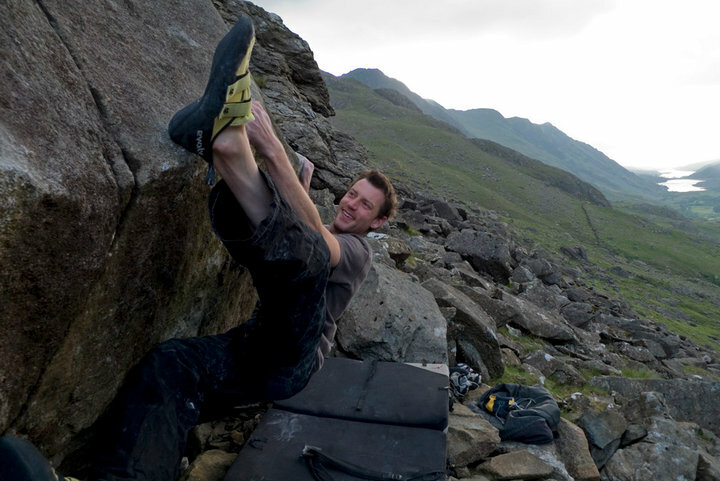 A big smile on ‘The Big Smile’ (7C+) in North Wales. Happy times!